Manage online registration, build a stunning website, and simplify your day. Our easy-to-use online registration process makes things simple for both club administrators and clients. Easily create and manage programs and activities, including tracking payments and generating reports. 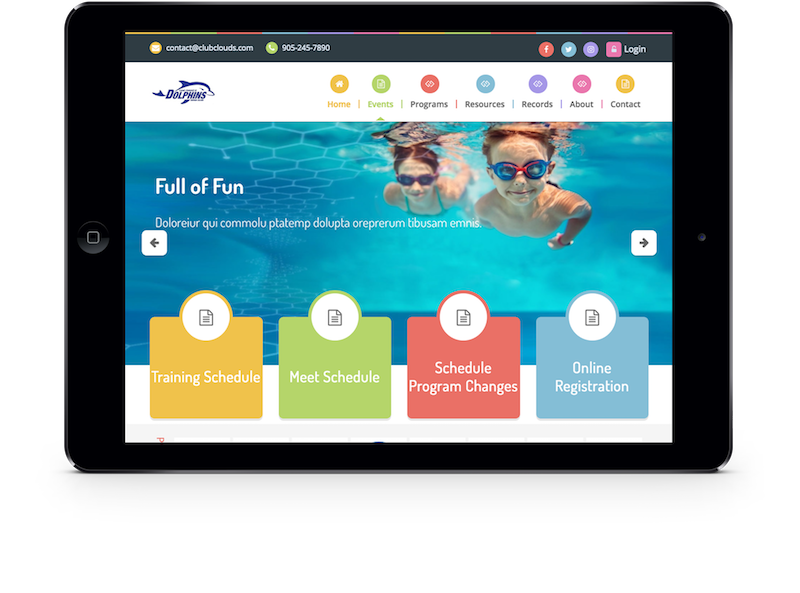 Our stunning, mobile-friendly templates are specially designed to suit your club's needs. Easily move, add, and delete sections of a page to create the look you want. Simple and intuitive. No code required. We know that setting up new systems can be difficult. At ClubClouds, we take care of all that for you. All plans come with free registration set-up. 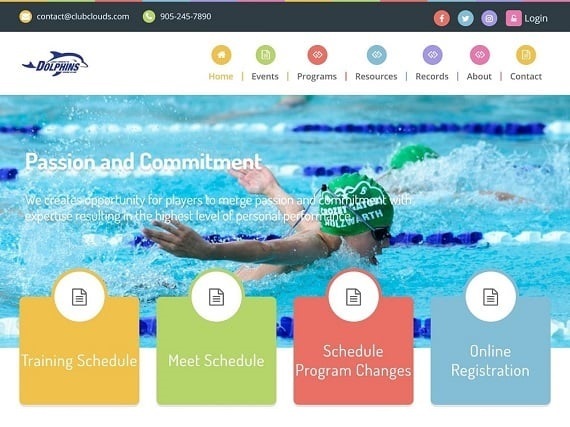 Simplify the complicated process of registration for both your club administrators and your clients using our elegant online registration system. The view your clients see when they use our online registration system. Eliminate confusion and increase customer-satisfaction with our easy-to-use system. Set up your programs and activities in minutes. 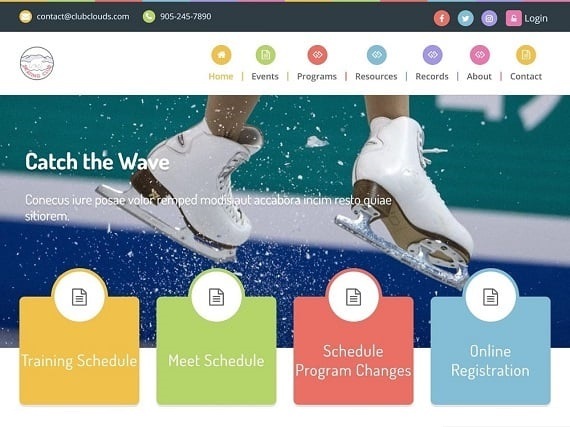 From memberships and promotions to customizable forms and flexible schedules, we have all the functionality you need. Request a deposit, pay upfront, set up installment payments, give promotions or refunds, pay online using credit card or offline: the choice is yours. Credit card fees can be reduced by requesting deposits instead of full amounts or by qualifying for lower rates if you reach a minimum monthly sales volume. With many different types of promotions to choose from, you can easily create and apply any kind of promotion for your clients. We've got you covered. Simplify the process of collecting payments with Stripe. Never chase after a payment again: installment payments are automatically credited. Generate reports by programs, activities, members, and more. Simplify accounting by printing financial reports with details about income and payments. 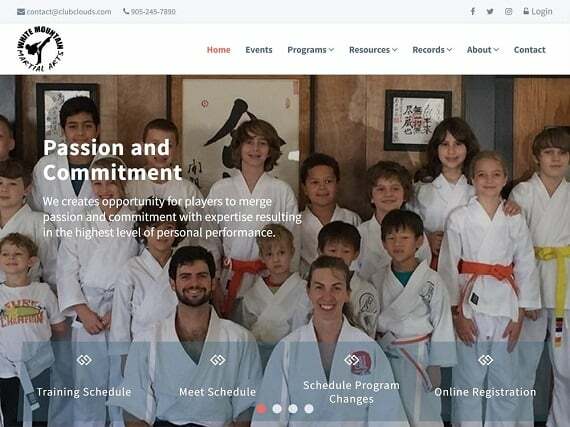 Create a beautiful, professional website to promote your club. Stand out from the crowd and make a powerful, memorable first impression. 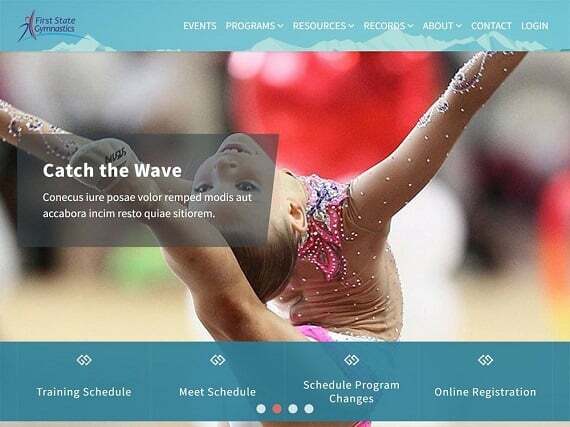 ClubClouds is a high-quality solution for those who want a beautiful website in no time. It's fully responsive and will adapt itself to any mobile device. iPad, iPhone, Android, it doesn't matter. Your content will always looks its absolute best. 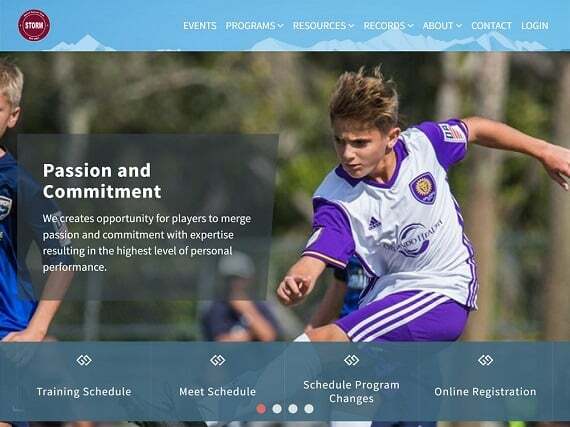 Pages come with professional, pre-designed structures specifically created for the purpose of club websites, making it easier to showcase your content. Easily add or remove sections, from sliders and galleries to events and news, to create the look you want. Our intuitive, easy-to-use content management system means that you'll be able to spend less time reading tutorials to manage your website and more time doing the things you want. We support unlimited pages, multiple contributors, and various access levels. 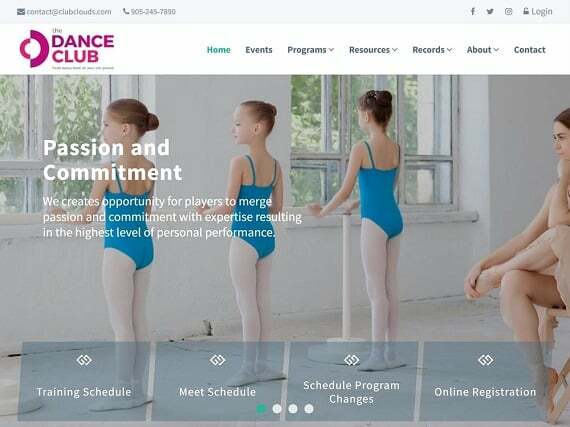 Transform your club with simple, intuitive online registration processes and a stunning, professional website. What are you waiting for?